Greg Ross is currently an Investor and Advisor for a variety of Connected Car businesses, following a 31-year career with General Motors. 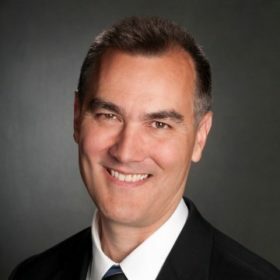 He is best known for his work over the past 5 years to build an extensive, multi-million dollar global portfolio of strategic alliances for GM’s Connected Car business — including Wireless Carriers, Satellite Radio, Insurance Carriers, Streaming Music Providers, Fleet Management companies, Car Rental companies, Car Sharing services, App Developers, and many others. Greg was also instrumental in the growth and scaling of GM’s OnStar business, leading the effort to improve subscriber conversion rates by over 60%. Greg’s Connected Car career at General Motors was built on a core Automotive foundation, with significant roles in Corporate Strategy, Product Development, Product Marketing, and Retail Network Development. Greg is considered an expert in Connected Car and Telematics, and activation of these technologies through new and innovative business models.